Jason Momoa's Aquaman 2 release date revealed — Will it also cross $1 billion? Warner Bros. has finally set the release date for Aquaman 2. Warner Bros. and DCEU had a blast after Jason Momoa's Aquaman movie made over a billion dollars at the global box-office collection. After the success of the first movie, the release details of the next part in the series has finally been unveiled. As per an earlier report, Aquaman earned over $330 million in the domestic market (the United States and Canada) and went on to earn over $805 million worldwide. As of now, the total box-office of Jason Momoa's superhero movie is $1.138 billion, making it the highest earning DCEU movie of all time. Given the fact that the movie earned so well at the box-office, fans knew that Warner Bros. will surely be going to make Aquaman 2. After much anticipation, Warner Bros. has finally set the release date for Aquaman 2. The Jason Momoa-starrer DCEU movie is all set to release worldwide on December 16, 2022. As of now, there are no other details revealed about Aquaman 2 but fans are speculating the possible story. As per ComicBook, Aquaman fan community, The Aquaverse are predicting that the sequel movie is going to feature The Others. As per DC comics, The Others are a team of heroes comprised of six members, each of which has an Atlantic relic. These members are, Aquaman, Prisoner-of-War, The Operative, Sky Alchesay, Ya'Wara, and others. These members reunite on and off, generally when Arthur Curry needs their help. Considering the massive success of Aquaman, it seems obvious that hopes will be rocket-high with Aquaman 2. James Wan's Aquaman was praised for a lighter tone, Wan's direction, visuals but several critics panned that the film failed to impress them because of the lousy plot. Even Avatar 2 director James Cameron spoke about Aquaman and stated why he could never make a film like this. So, if in Aquaman 2, the creators will get to address these issues then there are chances that just like the first one, even this Jason Momoa-starrer will earn over a billion dollar. 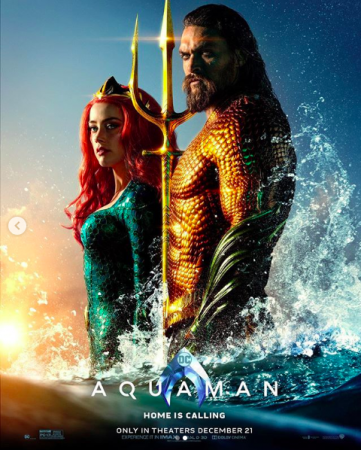 Aquaman also featured Amber Heard as Mera, a fierce warrior and Aquaman's closest ally, Willem Dafoe as Vulko, Patrick Wilson as Ocean Master, Dolph Lundgren as the King of the Atlantean tribe Xebel, Nicole Kidman as Arthur Curry's mother, and others.